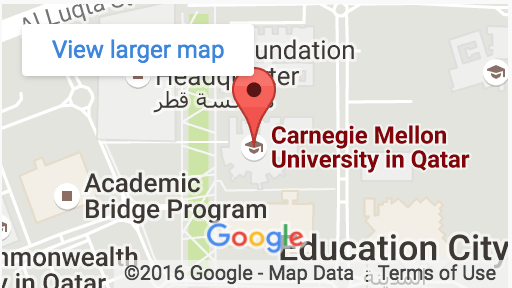 Why spend a semester at CMU-Q? We offer undergraduate programs in biological sciences, business administration, computational biology, computer science, and information systems. All of our programs are housed in the CMU-Q building, a beautiful structure by architect Legoretta + Legoretta. From architectural wonders, great food, amazing shopping malls and bustling markets, Doha has many things for you to experience. Doha is sunny and hot, with a unique blend of traditional Arabic culture and booming modern enterprise. Qatar has stable political and financial systems, which ensure a safe and friendly living environment. Doha is one of the safest cities in the world.